Does your high capacity multipack (C13T33574010) for XP-630 contain both the photo and text black cartridges? The Wi-Fi-enabled Epson XP-630 small-in-one printer is ideal for home users. This model offers a high printing resolution and quick print speeds. It can also scan and copy. 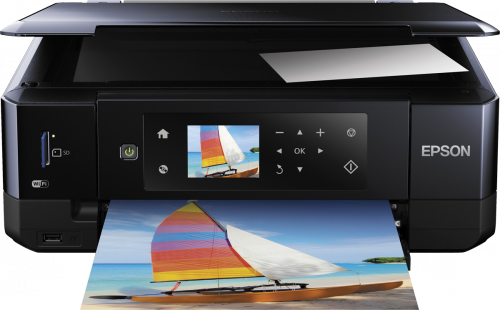 Designed for photo printing, the Epson Expression Premium XP-630 all-in-one Wi-Fi printer offers borderless printing as well as direct printing options for convenience. The print speed may be quick but the same can’t be said for the copy speed. The Epson XP-630 Wi-Fi all-in-one with duplex measures 15.4 x 134.4 x 5.4 inches and weighs 14.77lbs. This model comes with a flatbed scanner and features a control touch panel with a colour LCD display. It comes with a USB host and memory card reader as well as PictBridge port. For media handling, the Expression Premium XP630 wireless all-in-one inkjet printer comes with a 100-sheet input tray and a 20-sheet photo tray. Users can operate the Epson XP-630 multifunction printer even without a PC. They can view photos before directly printing it on the display. Direct printing can be done from memory cards, thumb drives and even digital cameras. Thanks to Wi-Fi and direct Wi-Fi connectivity, this model supports cloud and mobile printing. Other excellent features of the Epson Expression XP 630 colour inkjet printer include multi-copying of up to 99 pages, automatic double-sided printing and fast photo printing of 2 x 6 photos in 20 seconds. The speed of the Epson XP630 wireless colour photo printer is quick at 32ppm but the copy speed is only 10ppm for mono and 7.2ppm for colour.